White office furniture – a good or bad idea? The same phrase could be applied to office desks in white, such has been the demand for them in this colour in recent years. 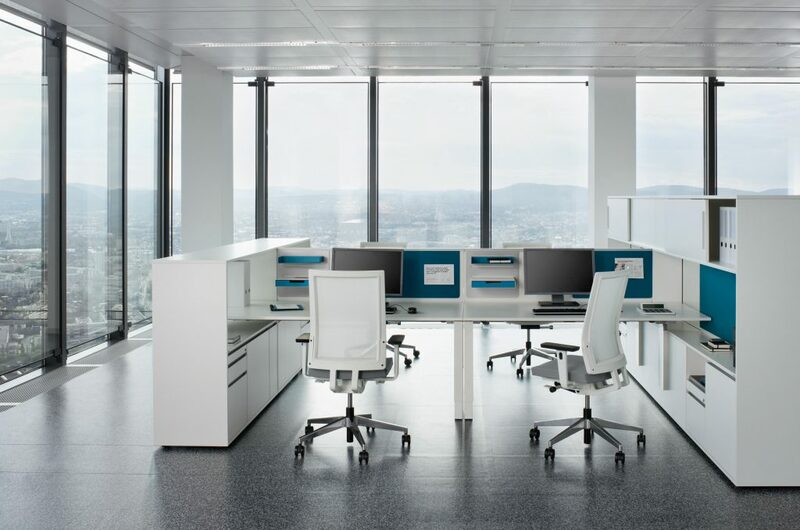 Two examples of white office desks are Linear by Elite and Teknion’s Interpret. These products are popular with a range of clients from financial institutions to digital agencies. 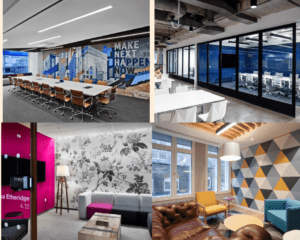 Check out our open plan office gallery for some great examples of this in practice. The emerging trends in the furniture industry are no more evident than at the Orgatec furniture exhibition, which attracts over 50,000 visitors from more than 120 countries every two years. “The leading furniture brands launched a number of new products at Orgatec and it was noticeable how many of the desk solutions were displayed in light colours. Greys and creams were in fashion and a very nice variation on white.” observes K2 Space designer Harsha Kotak. Vitra’s stand at Orgatec 2014 displayed a couple of the more extreme examples of modern office desks with its Hack and RAW products. Hack is a wooden table system that can be adjusted to the user’s needs and even packed away if it needs to be. The Vitra RAW products were originally devised by architect Jean Prouve for industrial companies in France. These were then recently updated when kitting out the head office of fashion brand G-Star RAW in Amsterdam.